DHAKA, Bangladesh (CNS) — Christian religious leaders across Asia called for Muslims to take a stand against Islamic extremists, seek reconciliation and forgiveness, and pursue a peaceful interpretation of religion in the aftermath of the Easter massacre at a public park in Pakistan. “The attack is an outcome of a barbaric and insane interpretation of religion by a group of misguided people who exploit religion for vested interests,” Bishop Gervas Rozario of Rajshahi, Bangladesh, chairman of the Bangladeshi bishops’ Justice and Peace Commission, told ucanews.com. A Taliban splinter group claimed responsibility for the March 27 suicide bombing in Lahore’s Gulshan-e-Iqbal Park, which they said targeted Christians. Of the 72 people killed, 14 were confirmed as Christians, police said. Another 340 people were injured. The bombing came five days after a terror attack in Brussels claimed by the Islamic State group that left 35 people dead and hundreds injured. Muslim-majority Bangladesh, which once was part of Pakistan, has seen a series of extremist attacks and threats on religious minorities, including Christians. A Hindu priest, a Shiite Muslim cleric and a Christian convert were hacked to death by Islamic extremists, while a Catholic priest and a Protestant pastor survived assassination attempts. “From Europe to Asia, no one is safe from fundamentalist threats and attacks, not even in Bangladesh where the majority of Muslims are peaceful. But minorities continue to be attacked sporadically and possibilities of a gruesome attack like that of Lahore can’t be dismissed,” Bishop Rozario said. It is impossible for governments in Pakistan or Bangladesh to contain fundamentalism unless large sections of the population are involved in a social movement against extremism, the bishop said. “There are many good Muslims and they must play an active role in collaboration with the government to contain the rise of fundamentalism,” he said. Any attack in the name of religion is un-Islamic, said Mufti Ainul Islam, head imam of Hizbul Bahar Jame mosque in Dhaka. “Those who are behind such attacks are insane, misled people and their acts are utterly unacceptable and condemnable,” he said, describing the perpetrators of religion-based violence as “foolish” and “ignorant” about the teachings of the Quran. Govinda Chandra Pramanik, secretary-general of the Bangladesh National Hindu Grand Alliance, said Muslim jihadists have existed throughout history but have never been as active as they are today. “It is because there is a lack of commitment from governments to protect minorities and the astonishing silence among the majority community and civil society groups,” he said. 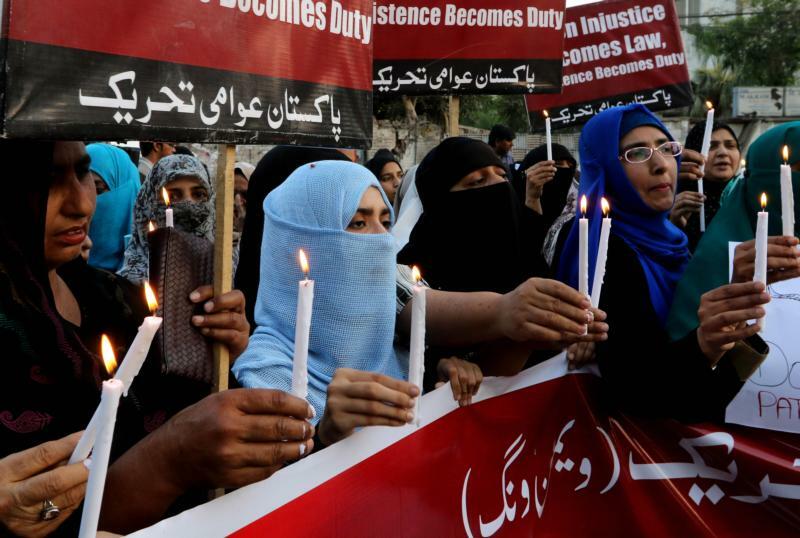 Archbishop Victor Thakur of Raipur, India, said terrorist acts such as the Lahore massacre were a serious human rights violation irrespective of the country of origin. “Unfortunately, some are hellbent on killing people in the name of religion,” he said. Father S.V.B. Mangalaraja, president of the Justice and Peace Commission of the Jaffna Diocese, told ucanews.com that having experienced similar attacks in Sri Lanka during its civil war, Sri Lankans understand the insecurity Christians feel in places such as Lahore. In Christian-majority Philippines, which has experienced Islamic extremist-related violence in southern regions in the past, Catholic bishops have called for calm. “We should refuse to allow these extremists to dictate how we should live and relate with one another,” said Bishop Gerardo Alminaza of San Carlos, Philippines. “We should act as missionaries more than victims of these tragic incidents,” he added. Cardinal Luis Antonio Tagle of Manila in a radio interview warned that “the spread of evil continues” and appealed to Christians “not to lose hope” while at the same time calling for “deeper faith” in combating terrorism. In Malaysia, where Muslims are a majority, government opposition leader Wan Azizah Wan Ismail condemned the Lahore attack. “Islam expressly forbids the killing of innocents and as such, this act absolutely defies the teachings of the Prophet Muhammad,” she said in a March 28 statement. “Violence and intolerance are not solutions; knowledge and understanding are,” she continued. Malaysia has been on high alert after authorities detained more than 160 people allegedly linked to the Islamic State. Those being held include a police officer, an Islamic cleric, a student and an airplane technician for allegedly attempting to obtain bomb-making materials to launch terrorist attacks in the country. In Indonesia, the world’s most populous Muslim country, Christians and Muslims alike condemned the Lahore bombing. Jakarta, its capital, experienced seven explosions and several gunfights in January in incidents reportedly coordinated by the Islamic State group. Seven people died and dozens more were injured, authorities said. “Whatever their intentions, violence is never to be justified. As Muslims, we dare to say that whoever uses violence to preach, is against the very nature of Islam. Islam denounces violence,” Helmy Faishal Zaini, secretary-general of Nahdlatul Ulama, Indonesia’s largest Islamic organization, told ucanews.com. “This requires collective effort throughout the world against terrorism. The United Nations and Organization of Islamic Cooperation must take tough action against the perpetrators of the Belgium and Pakistan bombings,” Zaini said. Bishop Yohanes Yuwono of Tanjungkarang, chairman of the Indonesian bishops’ interfaith commission, urged all people to seek peace.